This product review post contains affiliate links. Ever had issues with nosebleeds? My darling daughter has a dust mite allergy, and seems to have contributed to frequent nosebleeds. 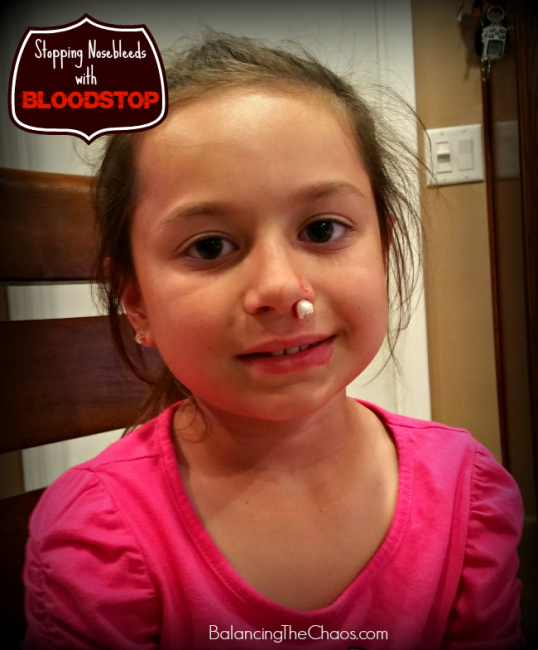 I’ve recently been invited to sample a product called BloodSTOP, which greatly reduced the length of time in getting her nose to stop bleeding. As a child, I too had frequent nosebleeds. I remember pinching my nose, using ice, and other ways trying to get the blood to stop. Last year, my princess and I were at a grand opening when her nose started bleeding. It happened to be a really hot day and the blood continued to flow. Even after using all the towels, Kleenex and napkins we could find, we finally got it to stop after 20 minutes or so. Now that I have Bloodstop Hemostatic Gauze on hand, we can now get this issue under control in minutes. A woven matrix of fibers made of 100% natural cellulose, BloodSTOP forms a transparent seal that helps stop bleeding while protecting the wound. 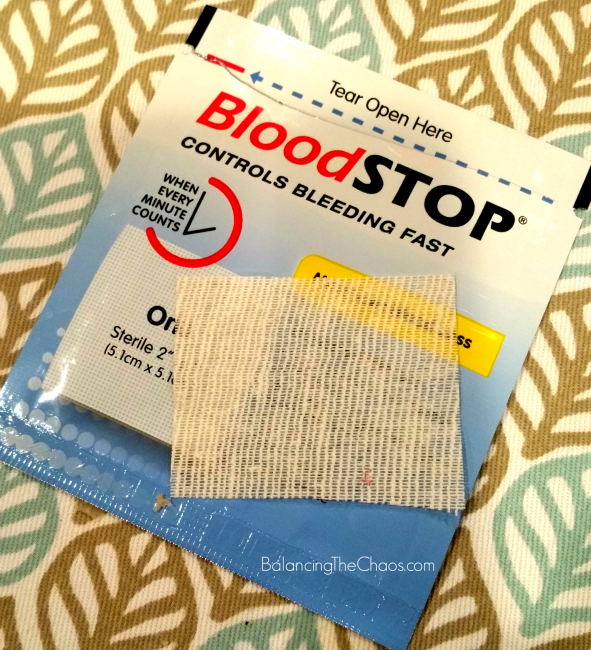 We cut a small piece off of a BloodSTOP inch patch and folded it up. 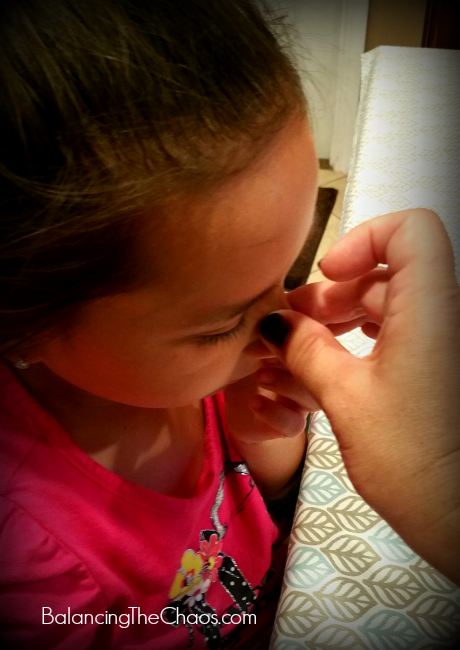 I gently inserted it into my daughters nostril, trying to get close to the source of the blood. I had her slowly pinch her nose to create the seal, then after a minute, she pulled it out. Along with the patch, out came a large clot. It worked that fast! I had her put in another small piece and with about 3 minutes, her nosebleed had completely stopped. Place one or two layers of BloodSTOP to wound and apply pressure. To remove, wash off with clean water or sterile normal saline. 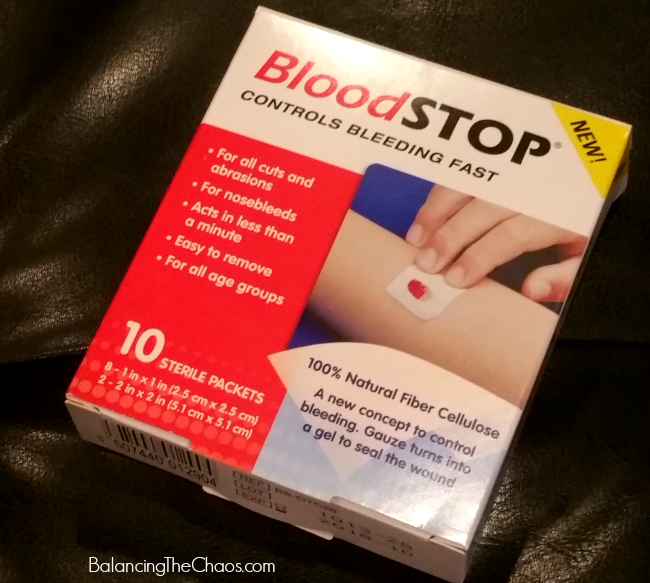 BloodSTOP is a great product to have on hand. It is currently available at Amazon (See below). Try it for yourself, you will be amazed at how quickly it stops the bleeding.